You are here: Home / Grey Water Etiquette – To dump or to hold? Unfortunately there is no blanket rule to make this an easy question to answer. We have found travelling all over the country, there are different rules in almost every location. Go out west, and they beg you to put it on the ground or plants, however, in some places, especially along the east coast this practice if frowned upon and can even result in fines. 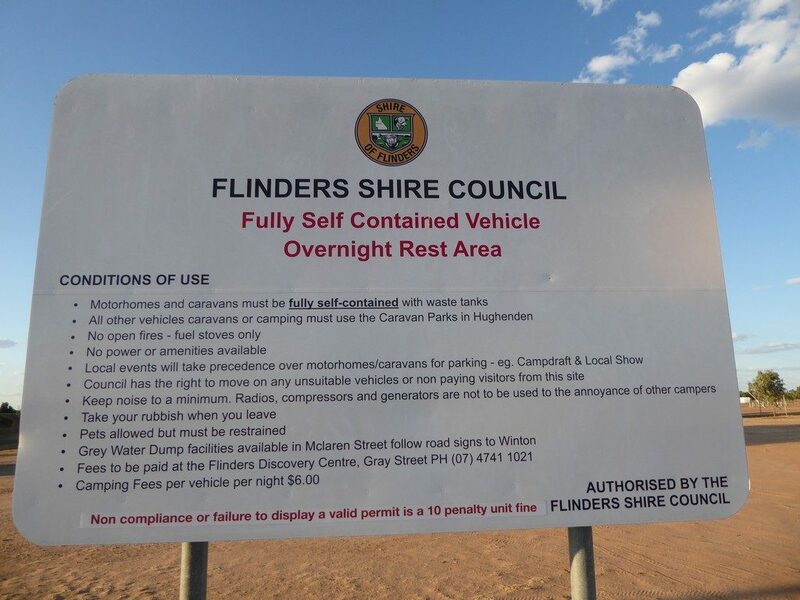 There are more and more campsites stipulating that only Fully Self Contained Vehicles are permitted. Whilst the definition of fully self-contained is another subject altogether, one of the requirements is that the caravan or motorhome has the ability to store its own grey water. So the simple answer is. 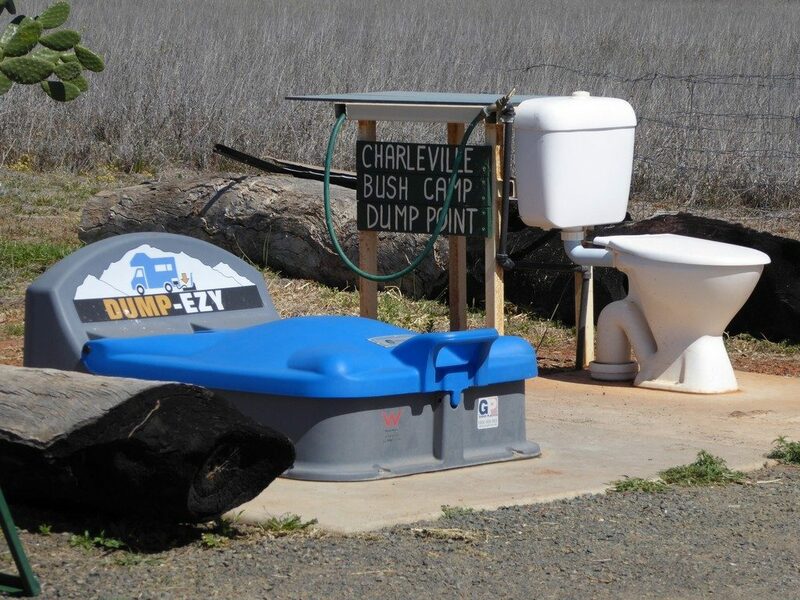 Find out before you dump, especially in National Parks. Ask whoever is in charge of the site of where you are staying to make sure it is permissible to dump grey water or not. Most places that do not allow you to dump your grey water will tell you so by clearly marked signs. The argument around weather it is safe to dump or not actually stems from the fact that grey water, under the wrong conditions, can be more toxic than black water. 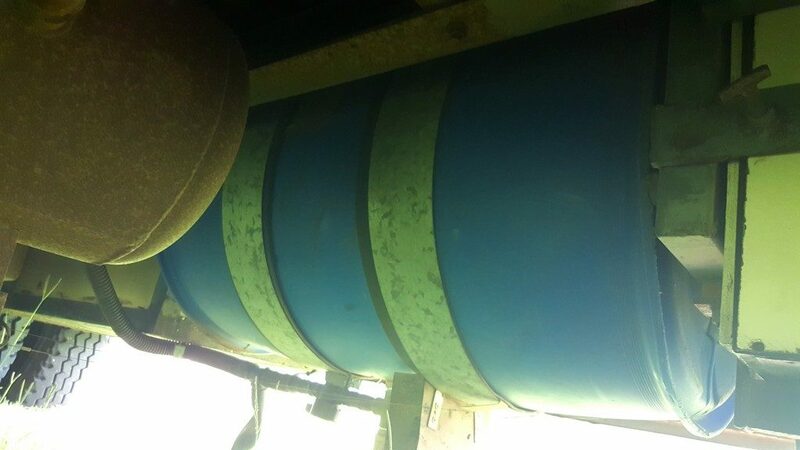 There are also concerns of the long term impact the water has on the soil. Grey water is affected highly by temperature. In 4 hours in reasonable temperatures, say 25 to 30 degrees, you can have 4000 times more bacteria in grey water than in your black water. That’s not to say you should not have a holding tank, in fact they are very useful, especially if you want to stay longer in areas that are only for FSCV. But bear in mind the above and also the fact that grey water will stink. The solution to this, if you intend to hold you water for over four hours at a time, is to treat it. And whilst there are many products on the market, we personally highly recommend and endorse the BioMagic products based on the fact we use them ourselves and found they are one of the only products that actually worked for us. The benefit of this is you can hold the grey water in your tank knowing it is not as toxic and will not smell as much by the time you can get to a designated dump point. The other thing to bear in mind if you have a grey water holding tank is to make sure it matches the size of your fresh water supply. Which can be difficult these days, as many RV manufactures, in their wisdom, either don’t fit a grey water tank, or tend to fit one that is so undersized you have to wonder if it is even worth having. It is a real pain having to leave somewhere early or pack up just because you have to empty the tank after just a day or two. 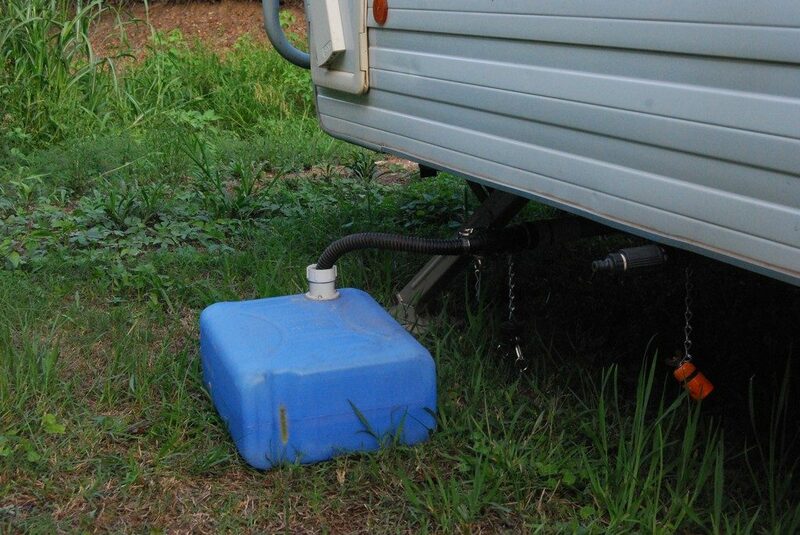 But, if you don’t have a holding tank, and many caravans and camper trailers don’t, the common practice is to let the water run into a bucket then sensibly dump it onto a thirsty plant nearby. Or you can use a portable tote to store it in for a day or two before taking it to a designated dump point. Now, assuming you have checked, and are permitted to dump your grey water, it is worthwhile noting a few things that can make it a more pleasant experience for all. In all cases, where you can dispose of on the ground, try to do so within 4 hours as there is less chance of bacteria build up. If you have to run the water on the ground and there is no grass, dig a small hole and let it run it there, making sure to fill the hole back in when you leave. 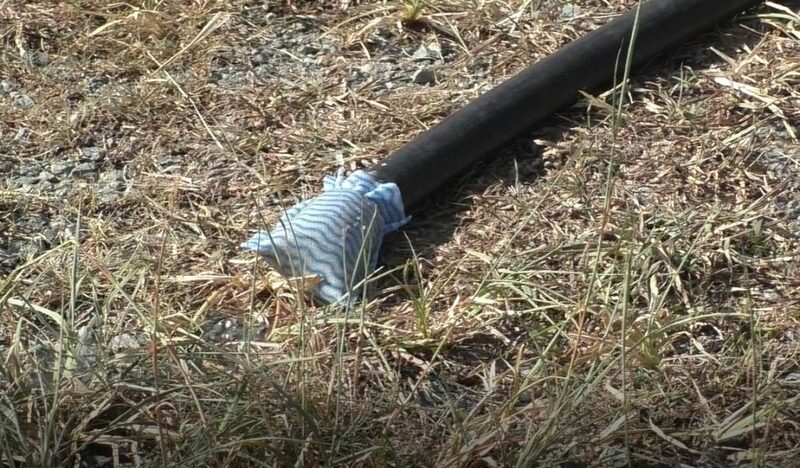 Use a sock at the end of your hose to capture any food particles, CHUX cloths stitched up work well for this. Don’t forget, if you are not sure, just ask, you will soon be told where you can go and it saves you copping a fine or upsetting someone. And remember to leave no trace.